This week Justin Houston returns to Kansas City’s lineup and has a great match-up against Cam Newton and the Panthers. I expect Newton may request another meeting with Roger Goodell after this contest to discuss outlawing the sack in the NFL (Update: Coach Andy Reid has said that Justin Houston is now “out” this Sunday). Can Washington play Vikings style defense this week against the Vikings and can Arizona’s defense stay interested for four quarters this week against San Francisco? How did I do last week? Seattle fared the worst against Buffalo. McCoy played as though he was near 100% and Tyrod Taylor had success buying time and passing the ball which led to fewer points for the Seahawks. The other three “Top 4” picks all did great. This week four of the teams picked last week face each other: Kansas City vs Carolina and Miami vs San Diego. I like both teams in one of the match-ups, but am on the fence this week about both teams in the other match-up. Los Angeles Rams (@ NY Jets) – Both defenses could have solid games in this contest, much like last week’s Rams vs Panthers game. I like the upside a little more for the Rams though. The Rams sacked Cam Newton four times in Week 9, and Jets quarterback, Ryan Fitzpatrick, has been turnover prone for much of this season. Carolina Panthers (vs Kansas City) – The Panthers have played well since coming off of their bye in Week 7. I look for them to continue to play well this week at home versus Kansas City. The Chiefs are 6-2, but are not a very high scoring team so this should be a close contest and the Panthers should be able to put pressure on Alex Smith regularly. Arizona Cardinals (vs San Francisco) – David Johnson should wear out the 49’ers defense this week. On the other side of the ball, Carlos Hyde’s playing status will be updated on Saturday, and Colin Kaepernick is coming off of a huge game. However, the huge game was playing from behind against the Saints. Arizona’s defense is much better than the Saints’ and they should limit the 49’ers points even if they get an early lead and play prevent defense for most of the 2nd half. Washington Redskins (sleeper play) – Minnesota is struggling to run the ball. Washington has a strong secondary led by Josh Norman and Bashaud Breeland. This week I see Washington getting to Sam Bradford possibly 4 to 5 times and limiting the effectiveness of Stephon Diggs which should result in close to double digit Fantasy points for the Washington defense this week. New York Jets (sleeper play) – Case Keenum has had a few bad weeks in a row. Once again this week Todd Gurley will find few holes and running lanes, and if Richardson and Wilkerson made it to their meetings on time this week Keenum will be pressured for all four quarters. Keenum has had a few decent games, but has regressed over the last few weeks throwing multiple interceptions. Now for the Safety and Corner plays for IDP leagues. Below are picks for Week 10, focusing primarily on players who are not currently top five at their position in Fantasy Points. The current Top 5 Safeties (using Major League Fantasy Sports scoring) are: Landon Collins, Tony Jefferson, T.J. Ward, Rodney McLeod and Reggie Nelson. The Top 5 Corners are: Casey Hayward, Marcus Peters, Jason McCourty, Robert Alford and Aqib Talib. Keanu Neal (ATL) – Neal faces the Philadelphia offense this week. After a hot start Carson Wentz has thrown a few INT’s while still having success moving the ball each week. Neal should be a major factor this week for the Atlanta defense. Harrison Smith (MIN) – Smith should have a fair number of tackles this week in coverage on Jordan Reed and against Washington’s short to mid-range passing attack. Antoine Bethea (SF) – David Johnson should keep Bethea busy this week both running the ball and with screens, and if not shadowing Johnson, Larry Fitzgerald and company will introduce themselves repeatedly. Morgan Burnett (GB) – Burnett goes against the Titans this week. Based on the Titans ability to get their runners downfield and the mid-range passing game, Burnett’s tackles should be plentiful this week. Shawn Williams (CIN) – In a Monday night matchup against the Giants, Williams will be kept busy in coverage on the myriad Giants receivers. Bradley Roby (DEN) – Roby should bounce back after an off game against the Raiders last week. The Saints will keep him busy either way. A.J. Bouye (HOU) – Bouye has played well the last few weeks. This week he faces the Jaguars who don’t even try to run the ball. He will likely see a lot of Allen Robinson this week which means ten plus targets and a Fantasy impact for Bouye. Logan Ryan (NE) – Russell Wilson appears healthy once again, so Seattle will be throwing the ball at well above a 50% clip. Ryan should be busy in this game which could develop into a shootout. DeShawn Shead (SEA) – Shead will be busier than normal in this Sunday night matchup with the Patriots. Rob Gronkowski, James White, Dion Lewis, and Julian Edelman are just a few of the names he will be assigned this week. Janoris Jenkins (NY Giants) – I like Jenkins in this Monday night game. The Bengals will have to throw to keep up with the Giants this week and Jenkins has been the Giants best Fantasy corner. Last week I was back to .500. Karl Joseph failed to record a tackle, largely because Denver was unable to run the ball beyond the line of scrimmage, and didn’t have much more success throwing it. Troy Hill recorded zero stats in a low scoring contest against the Carolina Panthers. This week all of my picks should be involved in fairly high scoring contests and have more opportunities playing against offenses that can stay on the field longer. Check back each week for D/ST starts and streaming options, along with IDP secondary picks. Good luck this fantasy season. 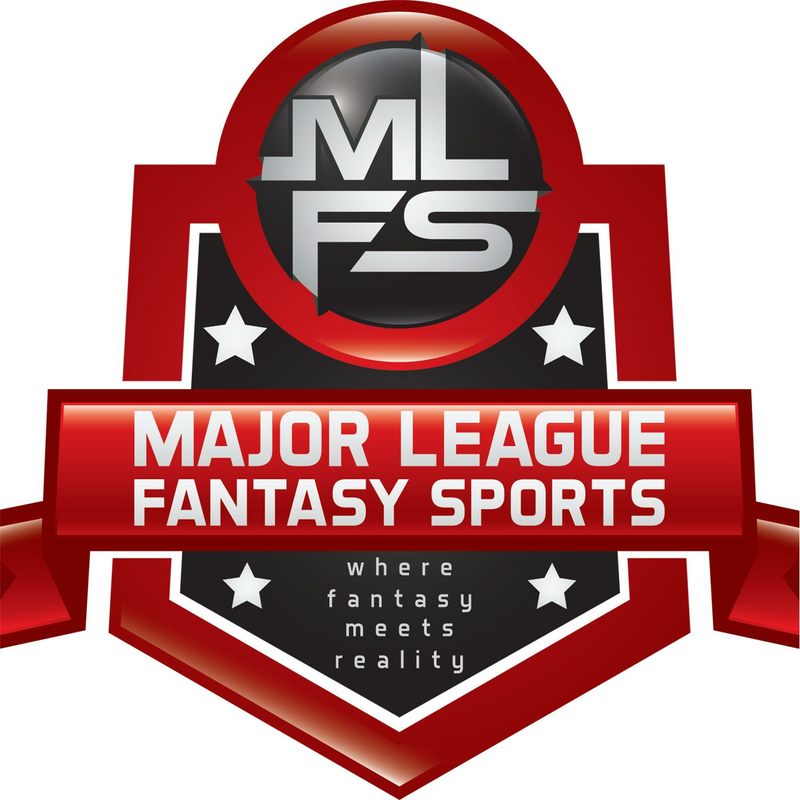 Major League Fantasy Football Radio: Join Ej Garr, Corey D Roberts, and Coach Jeff Nelson live Sunday November 13th, 2016 from 11am-12:30pm EST for episode #76 of Major League Fantasy Football Radio. This is a live broadcast and we take callers at 323-870-4395 press 1 to speak with the hosts. We will be breaking down key matchups, discussing fantasy start/sit, some DFS, and handicapping as well. Jeff is the defensive coach for Freedom H.S. in PA, an 8 year veteran of Major League Fantasy Sports, and 3 time champion. Don’t miss out on joining our baseball leagues for 2017 which we are filling now. We have 4, 16 team leagues in which we need only 2 owners for those leagues. Click the link and read up on what we are looking for.